I'm John and I am from Mansfield in the UK. I have been diving for over 20 years and have had a camera of various sorts for a number of years. 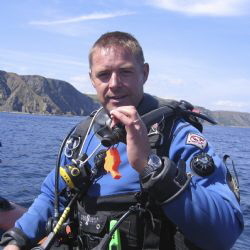 I mainly dive outside of the UK now but spent many years owning a RIB and diving the UK from the South Coast to the North West Of Scotland. I now shoot with my Aquatica Nikon D7200 system whenever I can.